Here you'll find the latest gigs. After sell out shows in 2015 and 2016, the island is back by popular demand with performances in March 2017 with additional tribute to Leonard Cohen. 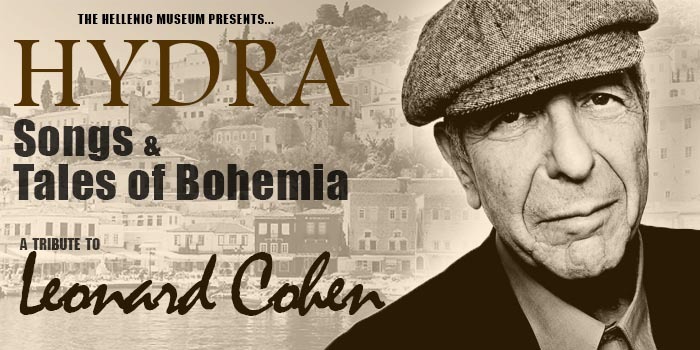 After three sold out shows as part of Melbourne Music Week 2015, Hydra: Songs and Tales of Bohemia is back by popular demand with two more performances set for January 2016. In collaboration with the Hellenic Museum Melbourne and the Melbourne Music Week, we are presenting a special adaptation of the show.